Mid-Life Cruising!!! : 2012, End .. or Beginning? 2012, End .. or Beginning? 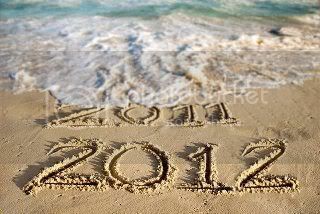 Well, it's another new year ... 2012! I can't believe it's been 12 years since the big Y2K, and that we're already in the year that some predict is to be the last for all of civilization. All I can say is ... I hope the Mayans just got lazy with their calendars! Others predict that the Mayans weren't predicting the end of the world, but a "New Beginning" ... I'll focus on this theory! In fact, around December of 2012 (end of Mayan calendar) we should really be headed towards our "new beginning" of full-time cruising. With another year behind us, I went back and read last year's post to see what goals Ken and I had for 2011 and how successful we were at reaching them. Well, I must admit that we only did a "fair" job, and hope to accomplish much more in 2012. One of the main goals that we didn't reach in 2011 was fixing up our house and getting it sold ... we still don't have that sign in the yard! In our defense, Ken has put a good bit of time on our home and we faced some major obstacles in 2011 ... mainly deadbeat tenants. Three different times in one year! Trashing the rental and bailing on the rent ... that really sucked up all of Ken's extra time, as well as any extra money that we had for our house projects. Oh, how much easier our life would be if others would take responsibility for their own commitments! Anyway, we THINK we have good tenants that will not be a thorn in our side this year. If all goes well, Ken will be taking some time off in March to finish up some lingering projects and get the house on the market. This is our main goal for 2012, as we really don't have the funds to move any further on our cruising dream until our house is sold. We did "okay" with our 2011 goal of sailing, and we sailed a few times to Mandeville (about 30 miles away) for an overnighter. However, we never made our "shakedown" cruise to Ship Island in Mississippi. This is another goal of 2012 that we must reach this year .. we will! In fact, we are now much more prepared for a sail to the Gulf Coast than we were this time last year. We recently purchased a Lowrance chartplotter/GPS, a dinghy, and a Tohatsu motor. Without a GPS, we really couldn't venture out too far. We would have surely run aground, and perhaps met the same fate of those on Gilligan's Island .. out for a 3-hour tour! The dinghy and motor will also make a trip to Ship Island much better, because we'll now have a "car" to take us to nearby restaurants and beaches. So, while 2011 was a little more stressful and difficult than we had planned it was still a pretty good one. Heck, we didn't think we could afford a Lowrance until the house sold .. much less a new dinghy and motor! In addition, we replaced the ports on Nirvana, Ken refurbished the hatches to look like new, we refinished the teak, and I won a new sail pack from Sailrite in a contest (my talented step-mom will be sewing this for us)! None of these things were planned for 2011, so we can't complain! When we look back, Ken and I are just grateful to be able to pay our bills during this tough economy (we're both self-employed in the housing industry), stay in good health, and have a beautiful and independent daughter! Our daughter, Erica, has just finished her third semester at LSU while working part-time and living with three other college girls. She also has a great boyfriend of almost two years that we love because he's also going to college, is in the Air Force Reserves, and treats her really well. Life is good! We've added pictures from the highlights of 2011 on our "Pictures" page .. check it out! So ... much like 2011, our goals for 2012 are to fix up and sell the house, enjoy a "shakedown" cruise to Ship Island, and continue enjoying time on the water with Nirvana while learning how to sail. Yes, we still have a lot to learn about sailing! We've also added four more goals to 2012 ... take an insurance adjuster course (a good source of part-time income), install dinghy davits on Nirvana (we admit we're too lazy for any other option), take a navigation course, and take a tropical vacation. We haven't had a vacation in over two years and our Discover miles have been adding up! (We really don't like how much our society relies on plastic, but we pay off our balance every month and use the card for the perks of the miles). Those miles will allow us to take a vacation for practically nothing. Good thing, or we wouldn't be taking a vacation. Every extra penny goes towards our cruising goal. By the end of 2012, we see ourselves either living on our sailboat or in a small apartment. From then, it's "smooth sailing"! Ken and I wish all of you a prosperous and healthy 2012, and we thank you for following along! Sounds like you have the year laid out very well. I love it that you pay off your credit card every month. We do the very same thing and it's made our lives together very nice and comfortable. Makes us budget too. In our former lives our mates used the card like an atm machine and it took years to pay them off. I can so relate. I'm happy for your daughter and her boyfriend. Life it indeed good. I'll be right here watching the year unfold for you as you make your resolutions a reality. Sounds like it was a good year. You have a lot to be happy about. I'm looking forward to reading about your adventures this year. Thanks for taking the time to write them down. You are an inspiration! I am amazed at all you accomplished in 2011. I look forward to following your adventures in 2012. Thanks for all of the kind comments .. we love hearing from ya'll!